Hittech Gieterij Nunspeet produces aluminium castings according to the sand casting process. The process is ideal for small and medium series, where the first series can be started in under 3 weeks. The fully automatic FA casting line produces highly accurate dimensioning and repeatability. The most complex forms can be produced by using cores or even entire core packages. 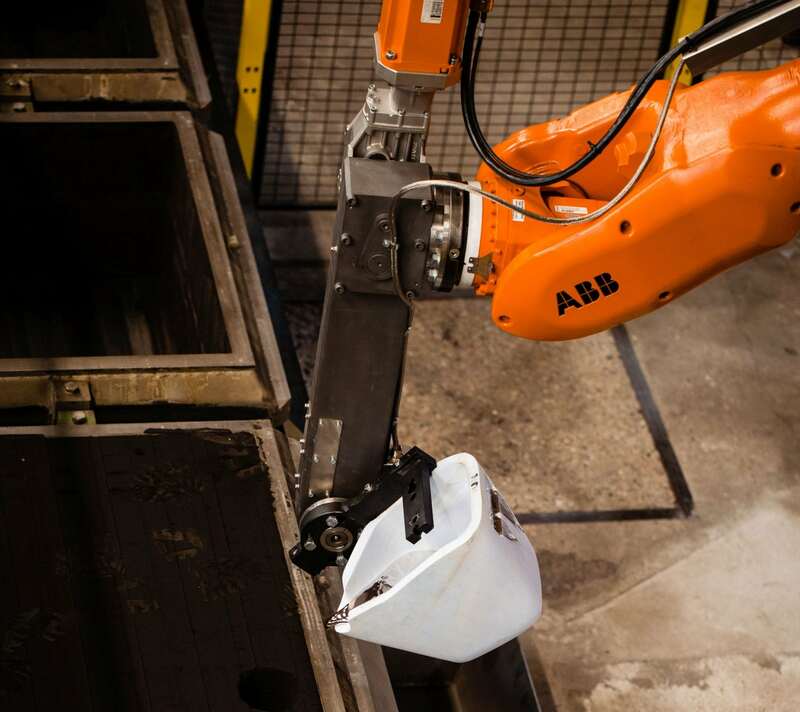 We have 2 ABB casting robots for filling the casting boxes, which produce your components of the purest material using a specially developed ladle. Hittech Gieterij Nunspeet is, of course, fully equipped with the latest control and measuring equipment. Hittech Gieterij Nunspeet regularly uses 10 different alloys. Each offers their own advantages and specific material properties. For example, the alloy determines whether the casting is suitable for welding or not and whether it can be anodised. The composition of the alloys are continuously monitored in our spectrometer test space. 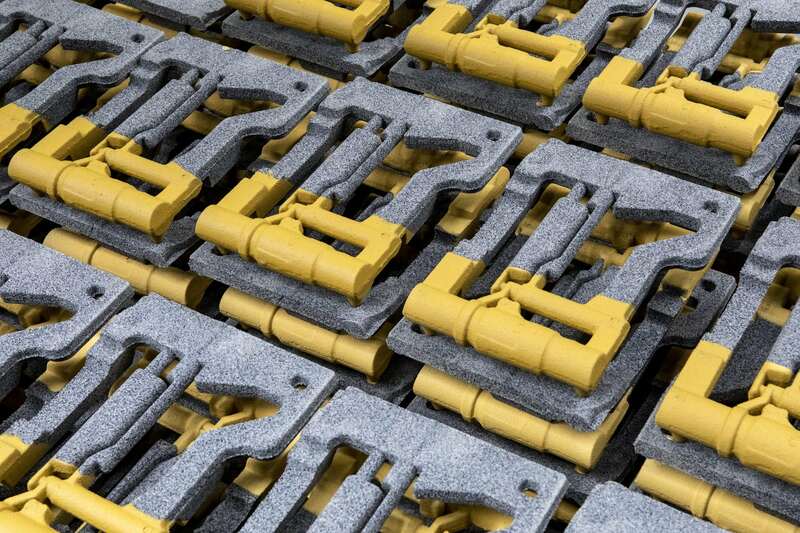 This ensures the consistency of the products that are casted. Heat treatments are performed to improve the mechanical properties of the various alloys and result in even better machinability. In addition, castings can be annealed at low tension to avoid residual stresses in the casting. 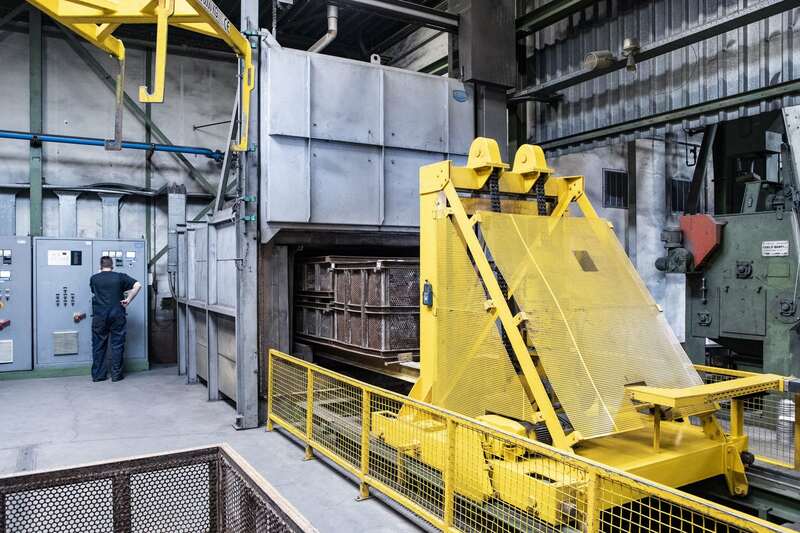 Hittech Gieterij Nunspeet has two very sophisticated annealing furnaces with extremely accurate temperature control and a fully automated quenching system.